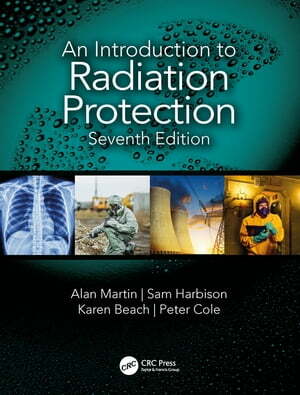 Collins Booksellers - An Introduction to Radiation Protection by Alan Martin, Sam Harbison, Karen Beach & others, 9780429814075. Buy this book online. This highly-readable account of the nature of the hazards presented by ionizing radiation and the methods of protection is an ideal introductory text for those new to the field, and for the non-specialist. The seventh edition continues to cover the technical principles underlying the control of radiation hazards, radiation detection and measurement and the biological effects of radiation, followed by a consideration of industry-specific radiation protection issues. Further specialised topics include risk assessment, waste management and decommissioning, radiological emergencies, relevant legislation and organizational issues and, new to this edition, environmental radiation protection.